Do you use picture sorts as part of your word work during Guided Reading? This picture card bundle with beginning sounds, cvc short vowels cvce long vowels, and blends and digraphs picture sorting sound cards are just what you need! 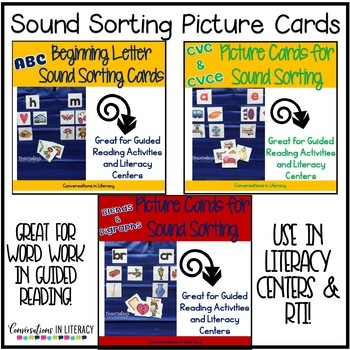 Help your students hear targeted sounds and determine which letters are making those sounds with picture sorting!